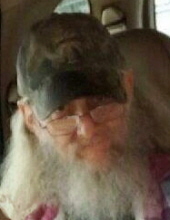 Carl R. Shultz, 64, of Fostoria, passed away 2:00 a.m. Saturday October 13, 2018 in Fostoria. He was born March 3, 1954 in Fostoria to the late Melvin R. and Mary E. (George) Shultz. Garry R. Shultz, Fostoria and Harley D. Shultz, Fostoria; step children, Bobbie Sauber, Fostoria, Kenny Sauber, Fostoria, and Stacey Sauber, Findlay; a brother, Michael (Christine) Shultz. Findlay; a sister, Melanie (Anthony) King, Fostoria; and 2 grandchildren, Beth Ann Deluca and Abby Deluca, of Oak Harbor. Carl retired from Davis & Newcomer Elevator Co. He was a member of the Trinity United Brethren Church, Fostoria and a member of the United States Army. Carl loved to fish and enjoyed gardening. In his younger years, he loved to ride his Harley Davidson motorcycle. A memorial service will take place at 2 p.m. Saturday October 20, 2018 at the Trinity United Brethren Church, 358 Thomas Street, Fostoria with Pastor Sam Suman Officiating. Visitation will take place 1 hour prior to the service. Arrangements have been entrusted to Hoening & Son Funeral Home, 133 W. Tiffin Street, Fostoria. To send flowers or a remembrance gift to the family of Carl R. Shultz, please visit our Tribute Store. "Email Address" would like to share the life celebration of Carl R. Shultz. Click on the "link" to go to share a favorite memory or leave a condolence message for the family.